Junior Republican Senator from Nebraska Ben Sasse attacked President Donald Trump’s executive order halting refugee resettlement as a “signal” that would empower Islamic jihadists. Ironically, Sasse’s criticism of Trump on this front stands at odds with fellow frequent Trump critic House Speaker Paul Ryan, who this time praised Trump’s refugee resettlement halt in a statement after previously, throughout the 2016 campaign, criticizing the now-president of the United States. Our number one responsibility is to protect the homeland. We are a compassionate nation, and I support the refugee resettlement program, but it’s time to reevaluate and strengthen the visa vetting process. This is why we passed bipartisan legislation in the wake of the Paris attacks to pause the intake of refugees. President Trump is right to make sure we are doing everything possible to know exactly who is entering our country. Interestingly, despite this Saturday statement criticizing Trump, Sasse voted for an amendment to suspend visas from 33 “high-risk” nations last December, many of which are majority-Muslim countries. 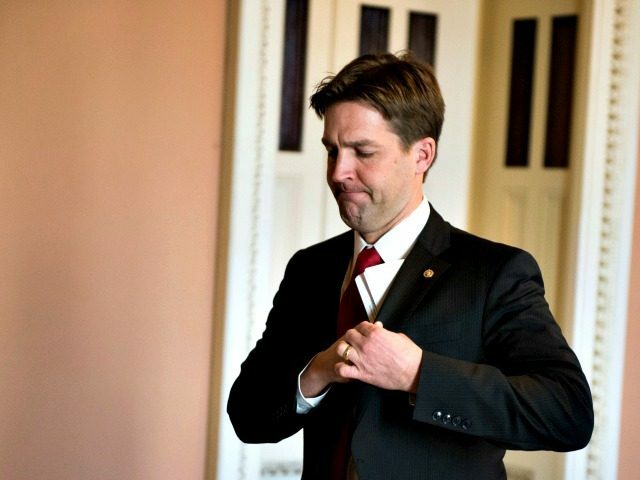 Sasse, during the 2016 presidential election, became one of the leaders of the so-called “Never Trump” movement that sought to withhold GOP support for Trump during the primaries and even after Trump won the party’s presidential nomination.